Discussion in 'First Build' started by Spork, Feb 14, 2018. Nice footage and nice wheels! I really love that bike. It started out as a semi-inexpensive way to get into cycling. 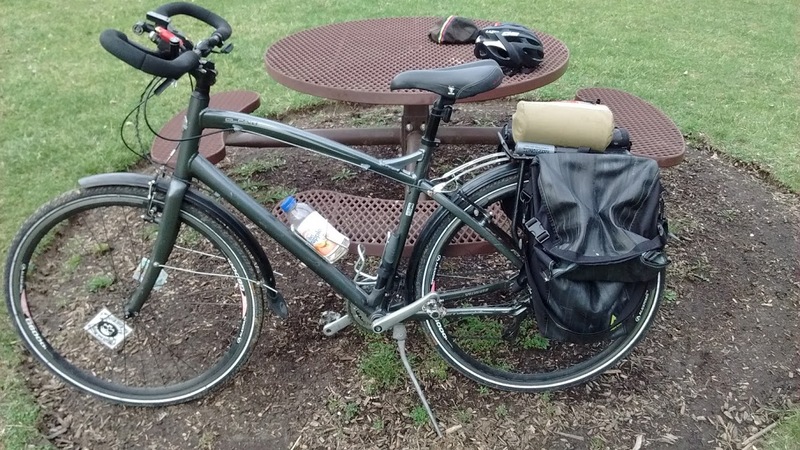 It's a hybrid that came with knobby tires because I thought I would use it for on road and off road. I never ended up going off road. For the longest time, I felt like a little below par when riding with my harder core cycling friends as they all have expensive carbon frame road bikes. Over time and upgrading parts here and there, I'm glad I didn't drop fat stacks on a fancier bike, because this one does just fine from 10-50 miles. I think she has 3 to 4 thousand miles on her now and only needs the odd adjustment, lube and new tires from time to time. This is the Mule. I picked this beauty up used from the bike co-op I volunteered at and used volunteers hours accumulated to cover the cost. The improvements came from when I sold my leather craft tools since I couldn't afford the hobby at the time and my car broke down. Nice! Really like those handlebars. Multiple hand position options on long rides is not to be underestimated. I've thought about adding a rack for carrying stuff to mine - may look into again as several of my video ideas involve bike trails or are just more easily accessible by bike instead of car. Plus it gives me an excuse to mix getting my fitness back with quad flying. And configure a 12v charging generator connected to your wheel to charge batteries as you go! I agree with Torc. Good bars I have them on my pushbike. Been awhile since I've updated this. I've been crazy busy at work lately and I'm just starting to feel that I sort of know what I'm doing. Today was the only day I had time to sneak out to fly for a bit, except we have 25+ mph winds on an otherwise beautiful day. Sigh. Soon, soon, maybe it'll be nice this weekend.